Mike Eckert, a native of Chicago, is a seasoned business executive with particular expertise in the early stage investment eco-system. He has extensive start up experiences as a member of the launch team of The Weather Channel/Weather.com where he served as its President and CEO for 14 years, and which brought him to New York City and Atlanta. He also served as Chairman and CEO of Pathfire, a leading digital video asset management and distribution company. Mike has been an angel investor since 1997 and currently is Chairman of the NO/LA Angel Network a group of 100 high net-worth individuals that invests in early stage companies. Mike is a former 6-year member of the Board of Directors of the national Angel Capital Association (ACA), which is comprised of over 300 angel investing groups and 15,000 individual investors nationwide. He has served as Vice Chairman of the ACA and Chair of the ACA’s Public Policy and Strategic Planning Committees . 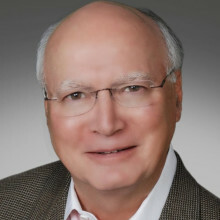 Mike is past Chairman of the Atlanta Technology Angels, the largest angel investment group in the Southeast, and one of the most active angel investment groups in the USA, and is a former fellow in Georgia Tech’s Advanced Technology Development Center. Mike currently is a limited partner in a number of Venture Capital Funds, is on the Investment Committee of the New Orleans Start-Up Fund, the Advisory Committee of the Louisiana Venture Capital Fund and the Advisory Board of the New Orleans Bio-Innovation Center.